The battle of iSandlwana was the single most destructive incident in the 150-year history of the British colonisation of South Africa. In one bloody day over 800 British troops, 500 of their allies and at least 2000 Zulus were killed in a staggering defeat for the British empire. The consequences of the battle echoed brutally across the following decades as Britain took ruthless revenge on the Zulu people. In Zulu Rising Ian Knight shows that the brutality of the battle was the result of an inevitable clash between two aggressive warrior traditions. For the first time he gives full weight to the Zulu experience and explores the reality of the fighting through the eyes of men who took part on both sides, looking into the human heart of this savage conflict. 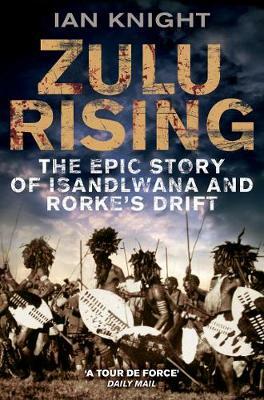 Based on new research, including previously unpublished material, Zulu oral history, and new archaeological evidence from the battlefield, this is the definitive account of a battle that has shaped the political fortunes of the Zulu people to this day.